Hello! 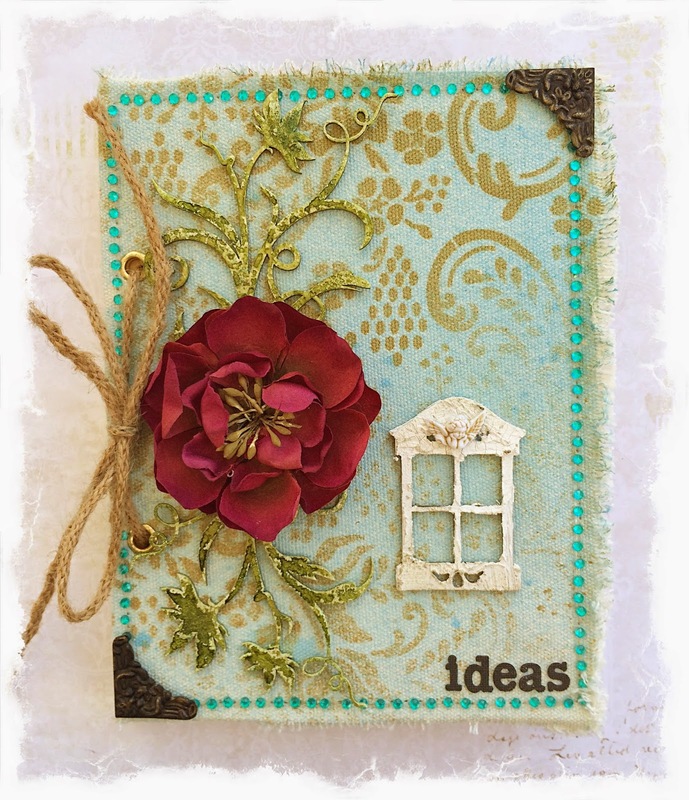 Today I am sharing some fun new projects I made for Blue Fern Studios for May. I even got a chance to use the new Ombre Dreams paper! I have used up nearly all of my Blue Fern Garden paper! In fact, when I made this card, I only had a mound of scraps to work with, so I decide to tear up some strips and make this layered design. 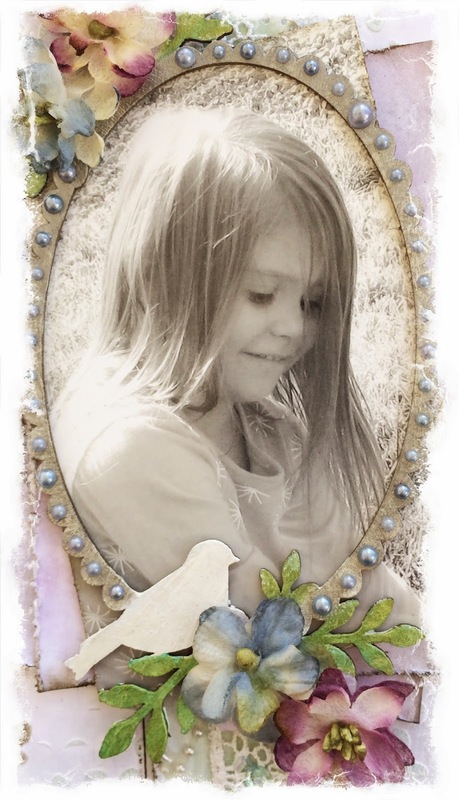 I used some small Spring Iris chipboard pieces that I cut up. I usually prime my chipboard with gesso, but I decided to use white chalk ink, and it created a dull effect when I added some green paint. 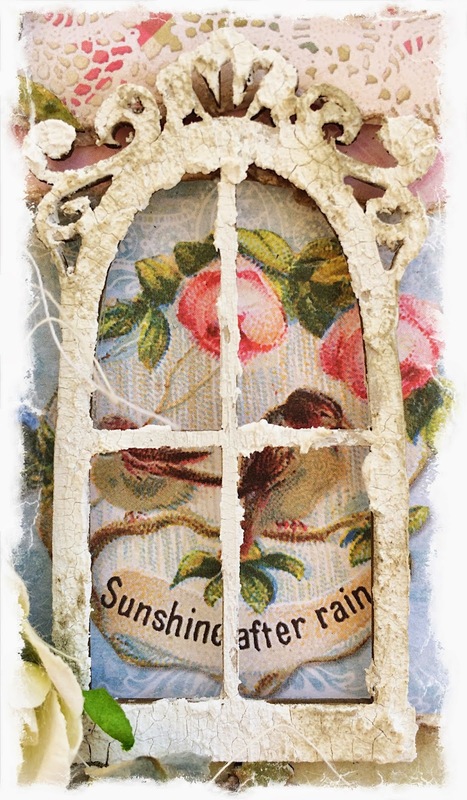 To treat this Petite Window, I used Martha Stewart crackle effect medium. Once it was dry, I added some light brown distress ink for a worn look to blend in with the rest of the card's tone. I like to keep a notebook handy so I can jot down any scrappy ideas I have throughout the day. I was in need of a new one, and wanted to add some Blue Fern chippies to this canvas journal to make sure it looked AWESOME! I just ADORE the Petite Windows! This is another from the set. 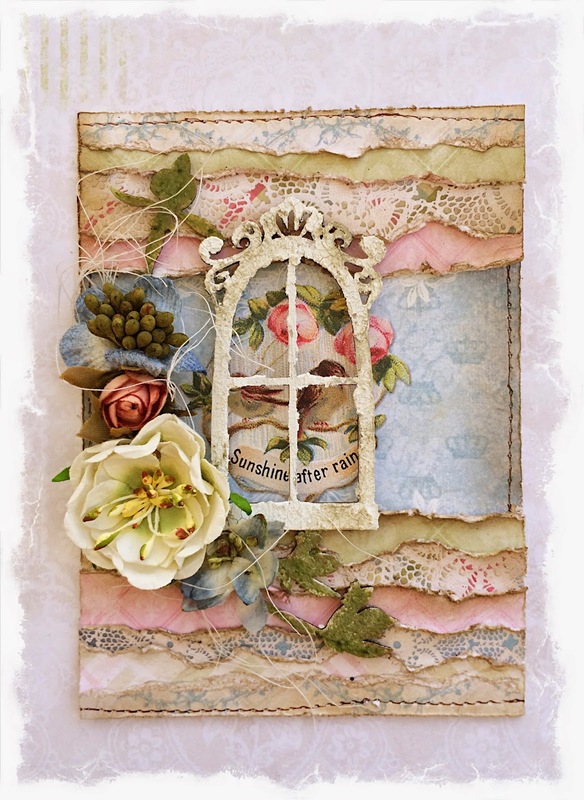 I used the same technique I used on the window I put on the card. This time I added a cherub button I had in my stash. 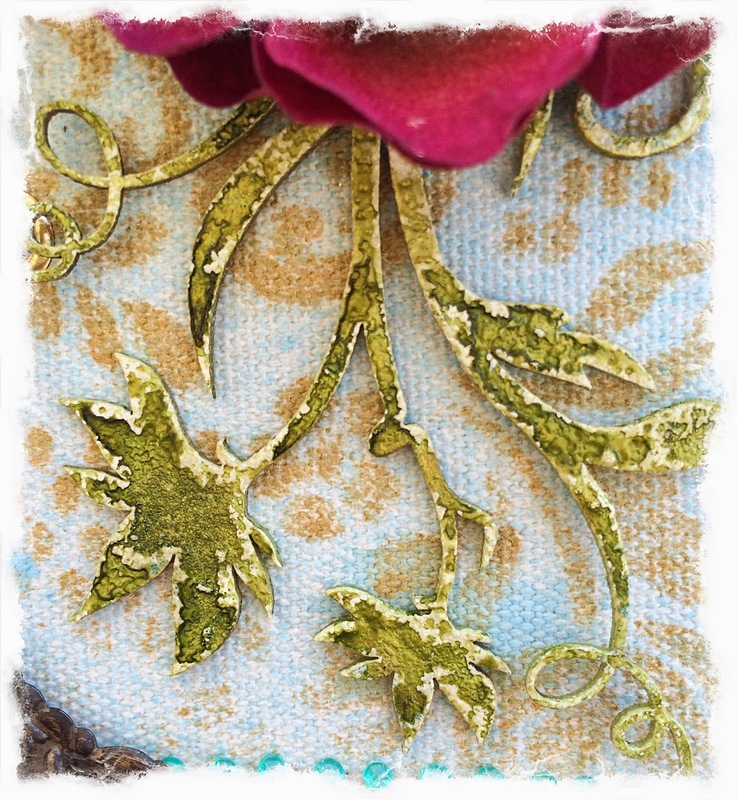 Here's a close up of the Wild Flourish Bundle. I used one of my favorite techniques where I prime the chipboard with a heavy coat of gesso, and sprinkle with various embossing powders, making sure to leaves some of the gesso untouched, then dry with a heat gun. Once dry, I add different shades of mists, saturating the chipboard, and drying again with a heat gun to dry the "pools" of mists. I am so in love with the Ombre Dreams paper! I love the array of colors! When I saw the blues and purples, I knew I wanted to use those first, and add some grey for a pretty vintage look. 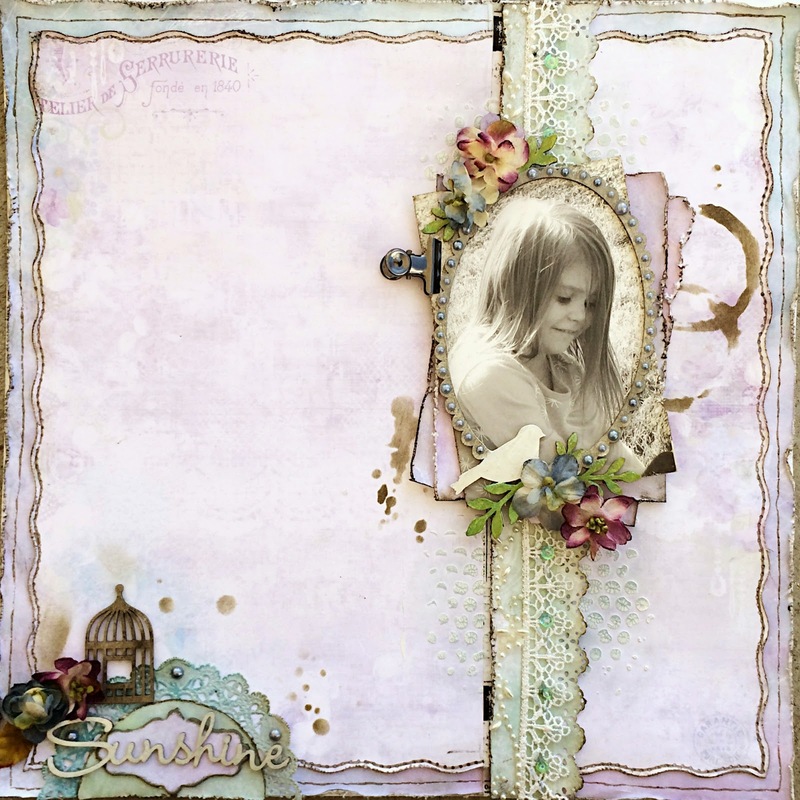 This layout is based on the May sketch. Here's a close up of the bottom left corner. I used some silver metallic paint and black chalk ink on the bird cage from the Veranda Cage Set. 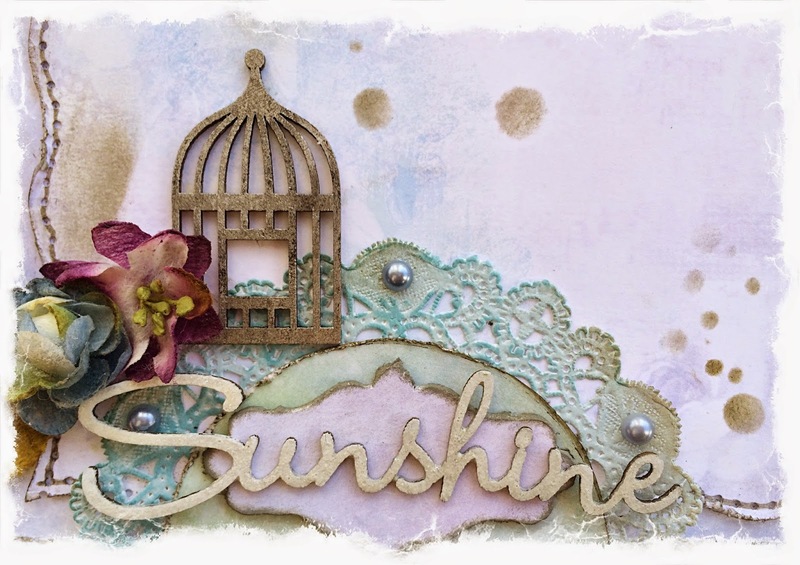 I painted the title, "Sunshine," from The Optimist Word Set with gesso and Glimmer Glam. The purple damask shape is a negative piece from the Damask Panel that I traced on the Joyce's Dream paper, then cut and sanded onto the panel piece. 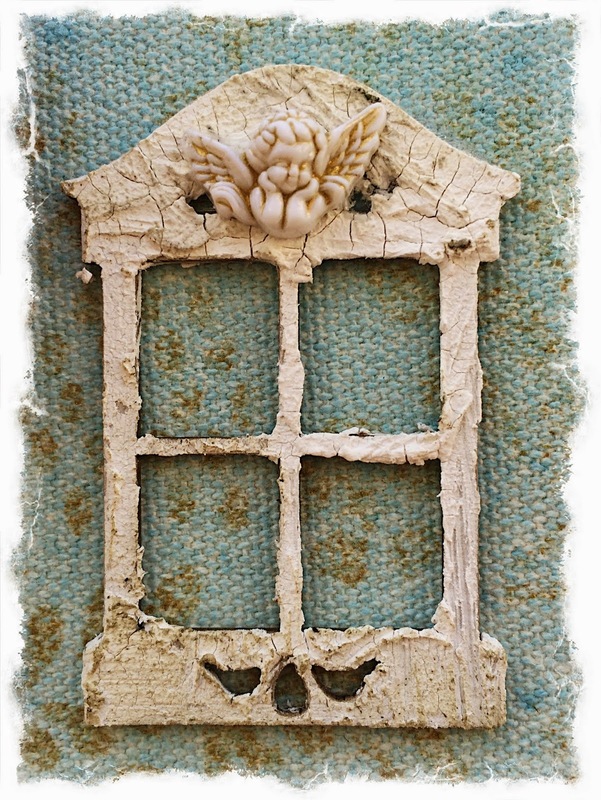 I used gray chalk ink and several colors of Silks acrylic glaze paints on the Spring Frame. I covered up the flowers with dimensional flowers, and added some blue pearls to the scallops.